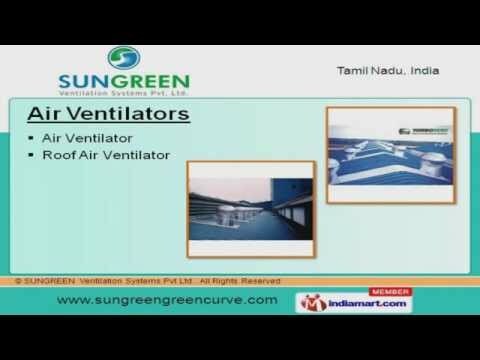 Welcome to Sun green Ventilation Systems Private Limited, Manufacturer and Supplier Ventilation Systems. The company was established in 1986. State-of-the-art-manufacturing facility and Team of dedicated professionals make us unique in the industry. Customization, Cost effective pricing and Client centric organization help us to achieve an enviable position in the industry. We offer a huge gamut of Air Ventilators, Curve Roofing and Turbo Cooling Systems. Our Air Ventilators are acknowledged for their functionality. Industrial Ventilators offered by us are in huge demand across the global markets. We offer Curve Roofing Systems that are well known for their outstanding performance. Our Roofing Structure Systems are best in the industry amongst others.